Great. Informative. Kind. Personal. Best doctor I've seen. It's scary being so young (18) and having to go to a cardiologistand he made it fine. Great. Informative. Kind. Personal. Best doctor I've seen. It's scary being so young (18) and having to go to a cardiologist and he made it fine. Thorough, pleasant, and honest would describe the interaction today. I feel important, taken care of, and leave with theknowledge necessary to improve my health. What more could you ask for? Thorough, pleasant, and honest would describe the interaction today. I feel important, taken care of, and leave with the knowledge necessary to improve my health. What more couldyou ask for? 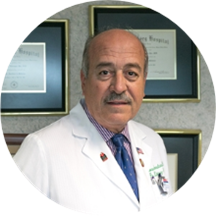 Enrique Rodriguez-Paz is an insightful and analytical cardiologist located in Tamarac, FL. He received his medical degree from the Universidad Autónoma de Guadalajara. He then completed his internal medicine internship at Fajardo District Hospital and his residency at the Muhlenberg Regional Medical Center. Dr. Rodriguez-Paz completed his fellowship in cardiovascular disease from Deborah Heart and Lung Center. Dr. Rodriguez-Paz provides consultations for general heart conditions, high blood pressure, arrhythmia, and congestive heart disease. He performs catheterization, x-rays, echocardiograms, and other non-invasive procedures, such as tissue Doppler analysis. Dr. Rodriguez-Paz’s goal is to use his skills to help his patients avoid heart failure and improve their heart conditions by understanding the many factors involved in heart health and diseases. Outside of work, Dr. Rodriguez-Paz enjoys sports and music. He speaks fluent English and Spanish. He is absolutely Great!! The staff are very good and attentive! Long wait, but satisfied with the dr’s expertise. Highly recommended! I'm very satisfied about my visit, it was better than what I expected to be! !.Professionalism and very friendly. Great Interaction and testings done in the first consultation. Highly recommend this doctor!!! Amazing human being. He cares about you and will run every test to be sure that you are getting the full care possible. His office is extremely kind, and everyone feels like family. I was really nervous at first, but thatquickly went away. A+ Doc, and his brother is just as great. The knowledge and treat were excellent. His Team is really professional, the doctor is wise, and only order test that you really need it, is not this money doctors, i'm so happy i found him here.